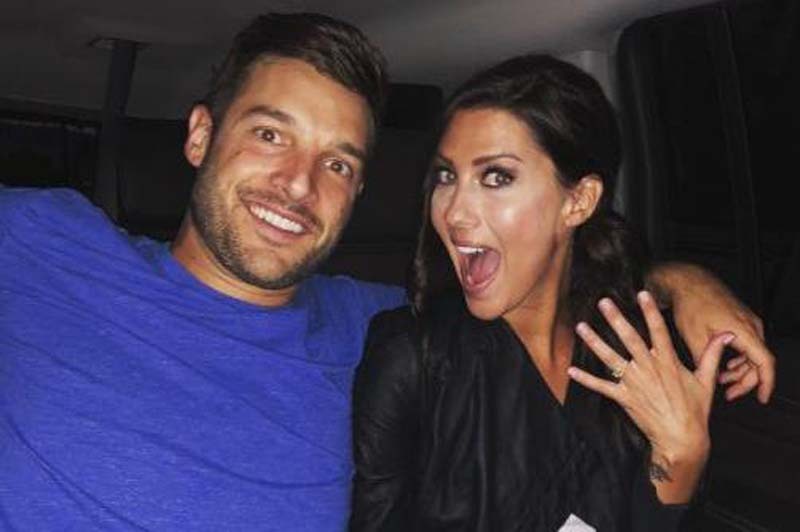 The 14th season of The Bachelorette came to a close Monday during an emotional finale that ended with Becca Kufrin choosing Garrett Yrigoyen over Blake Horstmann. The three-hour finale began with Kufrin introducing Yrigoyen and Horstmann to her family with both meetings going well. Kufrin then went on her final date with both men, sailing the Indian Ocean with Yrigoyen and taking a bike ride followed by paddle boarding across the Maldives with Horstmann. [post_ads]"I feel like I could be happy with either guy and both of them would be a right choice for me," Kufrin said as the finale built up to her final decision. "But I'm going for the one that I can't see myself without. This love feels like it just fits my soul, it just fits my heart." Kufrin, in a sparkling white dress, then met with Horstmann on the beach first, sealing his fate. "Because we were so constant, I felt like I was overlooking other relationships," Kufrin said to Horstmann during the breakup. "Because we were so solid, I wasn't seeing everything. There's just one piece with somebody else that I am not ready to say goodbye to yet." Kufrin walked Horstmann out as professed his love for her one last time and stated that she was making a mistake. Yrigoyen would then arrive on the beach, learning that Kufrin had chosen him. "I've been waiting to say it for the right person," she said. "I've been holding back because I wanted to be 1000 percent certain. Garrett, I love you. I love you so much." Yrigoyen then got down on one knee and popped the question, which Kufrin accepted. Yrigoyen, on the After the Final Rose special, once again apologized for his controversial Instagram history that was shared online by Bachelor alum Ashley Spivey in May. Yrigoyen liked posts on the social media site that many considered offensive to women, transgender people and school shooting survivors. "Some stuff came out about my social media and I didn't realize the affect behind a double-tap or a like on Instagram, so I put out an apology. I didn't mean to offend anybody. I apologize for that still, I'm very sorry. I didn't mean to hurt anybody's feelings or do anything like that, so I stand by everything that I posted in my apology," he said on the aftershow. "I got to see who he is, his heart, his soul. The Instagram situation, I don't condone that and I know that he stands by his apology and he feels so bad for everyone that he did offend," Kufrin said. Bachelor in Paradise begins Tuesday on ABC at 8 p.m. ET.